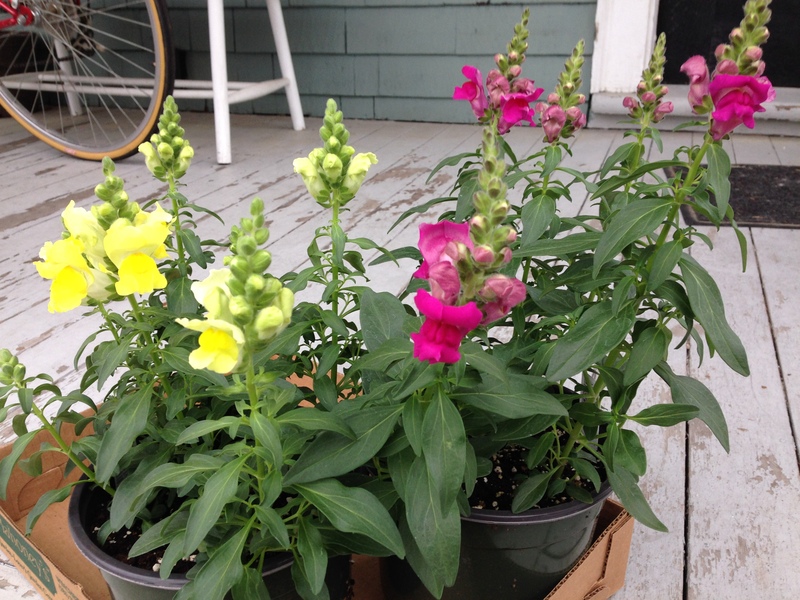 Snapdragons finally came in today, and I grabbed two before they were even off the truck. People asked me what the big deal was and I told them they were my dad’s all-time favorite flower! They are going in the pots on either side of my front stoop. Love you both, happy summer!